10% discount on Event Venue Rental. 10% discount on Hot Desk, Dedicated Desk & Private Office Rental. (1) THE VERTICAL: Level 8, Vertical Corporate Tower B, Avenue 10, The Vertical, Bangsar South City, No. 8, Jalan Kerinchi, 59200 Kuala Lumpur. (2) Wisma UOA II, KLCC: Level 6, Lobby A, Wisma UOA II, No 21 Jalan Pinang, 50450 , Kuala Lumpur. 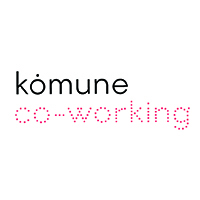 Drop an email to hello@komunecowork.com and state code "UOAKOMUNELOYALTY". For Event Venue, state your name, company name, event date and guest count. For Office Space, state your name, company name, type of office required, team size and date of commencement. Valid for UOA Membership Programme members only. Not valid to friends, family or any other parties indirectly related to members of the UOA Membership Programme. Event venue excludes any aircond extension, meeting room bookings and F&B catering. All spaces are subject to first pay, first-served basis only. Holding reservation for more than 1 month is not allowed for Hot Desk, Dedicated Desk and Private Office. Offers are valid until 31 December 2019 only. UOA Komune Sdn Bhd reserves the right to amend the above Terms & Conditions without prior notice. Member must scan the valid QR code at the merchant outlet and present the successful redemption notification to the staff for verification.